Digital Technology Tips - AR, QR, and VR, Oh my! Change the Way You Teach Social Studies! 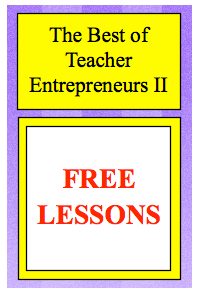 FREE MISC LESSON - "Spring Homework Freebie"
MATH LESSON - "The Factor Game"
MATH ACTIVITY - "Pentomino Exploration"
Science Lesson - "Leprechaun Traps"
LANGUAGE ARTS LESSONS - "Partner Daily Language"
1,000,000 Hits on YouTube Celebration! ELA Text Feature Lesson - "Information Shark"
Math Lesson -- "Algebra 1 Scavenger Hunt Bundle"